This documentation will show you how to take any ViralSweep template and integrate it into your Squarespace site. Navigate to your Squarespace site, and add a new page for your promotion, or click on a page that you want to embed the promotion into. 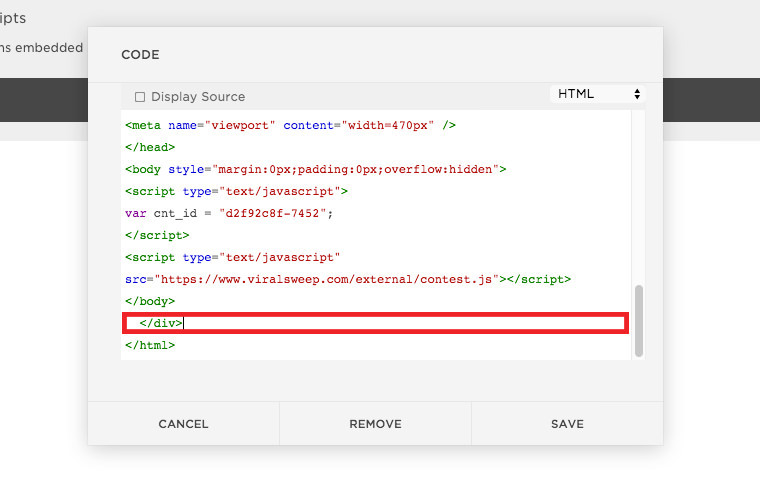 Inside the body of your Squarespace page, click the edit button on page content, then click the bubble to the left and choose 'code'. Navigate to your ViralSweep dashboard and copy the code for the full page. Paste the code for the full page into the code box in Squarespace. 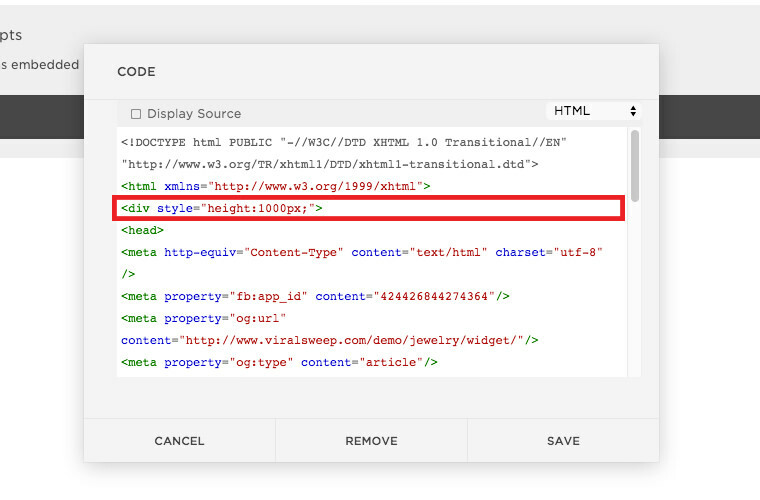 Make sure the 'Display Source' box is not checked off, and make sure the dropdown menu is set to HTML. Click save, and be sure to save the page content. Navigate to your Squarespace site, and add a new page for your promotion, or click on a page that you want to embed the widget into. Navigate to your ViralSweep dashboard and copy the code for the widget. 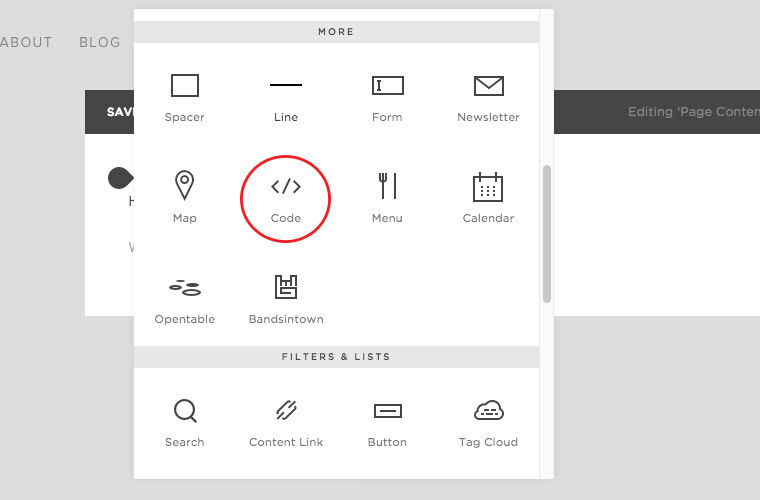 Paste the code for the widget into the code box in Squarespace. Make sure the 'Display Source' box is not checked off, and make sure the dropdown menu is set to HTML. 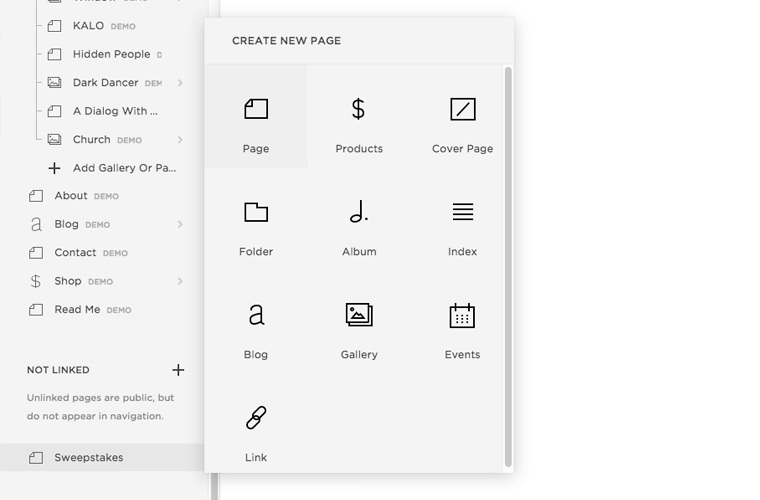 View your page, and you should now see the widget embedded into your Squarespace site. 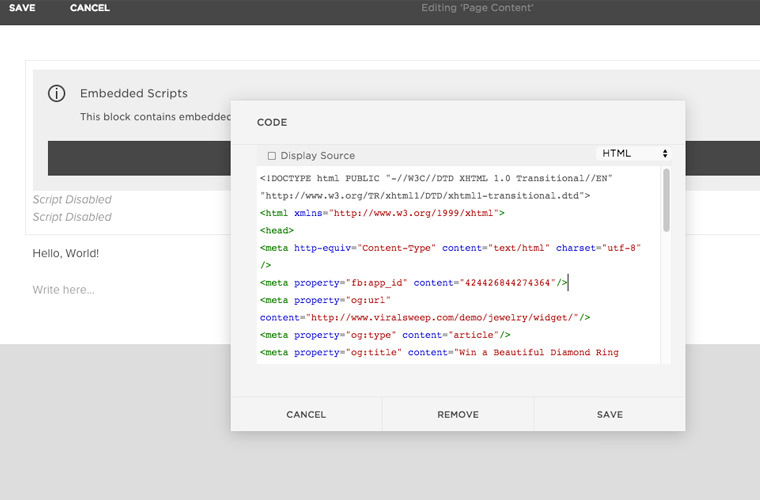 Navigate to your ViralSweep dashboard and copy the code for the lightbox. Find the Squarespace page that you want to add the lightbox code to. Inside the body of your Squarespace page, click the edit button on page content, then click the bubble to the left and choose 'code'. 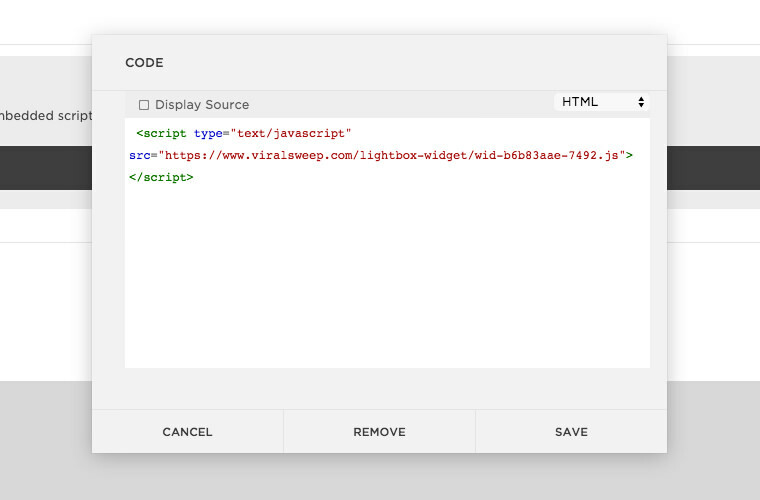 Paste the code for the lightbox into the code box in Squarespace. Make sure the 'Display Source' box is not checked off, and make sure the dropdown menu is set to HTML. View your page, and you should now see the lightbox display on your Squarespace site. If you want the lightbox to show up on all of your pages, you can do this too. Inside of Squarespace click on Settings > Advanced > Code Injection. In the box for the header, paste in your lightbox code, and save the page. 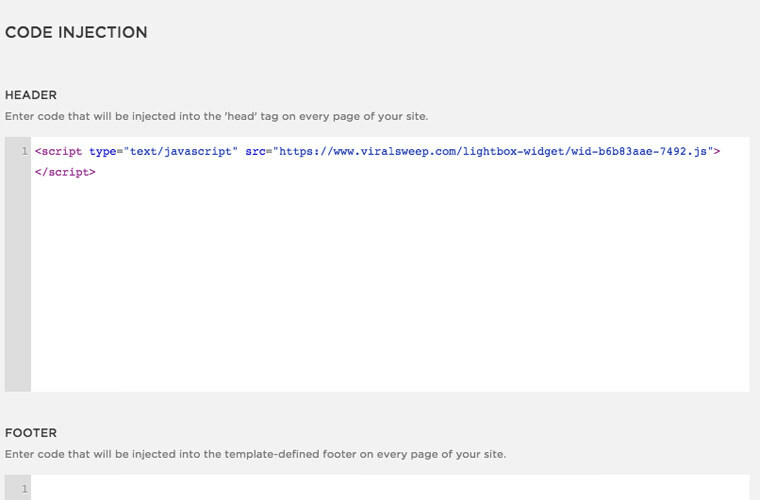 The lightbox will now display on all pages of your site. Still having trouble with adding your promotion to Squarespace? Simply click the support or live chat icon to get in touch with us.